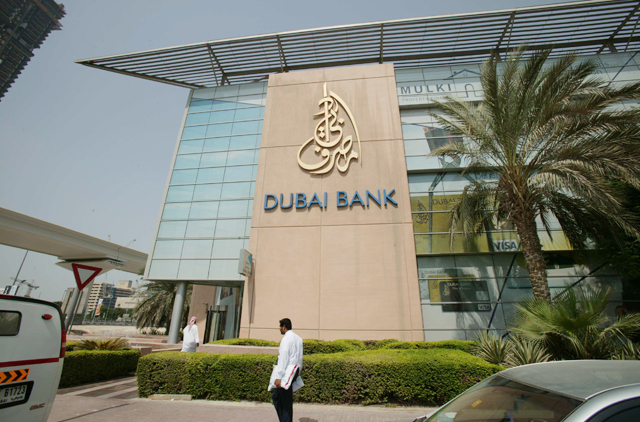 Dubai: Emirates NBD, UAE’s biggest lender is set to take over Dubai Bank, according to a Dubai Government statement on Tuesday. “His Highness Shaikh Mohammad Bin Rashid Al Maktoum, Vice President and Prime Minister of the UAE and Ruler of Dubai has given orders that Emirates NBD takes over Dubai Bank. This comes in line with Dubai Government efforts to enhance the banking sector in the emirate,” the statement said. “Dubai Government is keen to take the necessary steps to empower financial institutions to fully operate in a way that serves the national economy and consolidate the country’s position as a first class international financial hub, according to a press statement distributed today by the Dubai Government Media Office. “The acquisition signals a new phase rich of opportunities for Emirates NBD and Dubai Bank. This step reflects the government’s flexibility in dealing with the economic variables and crystallizes the future vision designed at empowering local banking entities so they can fully play their roles with the local economy and reflects the will of granting a strong impetus for national financial institutions to compete regionally and globally." Shaikh Ahmad Bin Saeed Al Maktoum, Chairman of Emirates NBD, stressed that this step is a practical translation of Dubai Government’s commitment to implement comprehensive and integrated financial and economic approach that contributes to strengthening the domestic banking sector and enhancing the UAE’s leading financial position in the Gulf and Middle East. Shaikh Ahmad expressed confidence that the takeover would achieve its fruitful objectives shortly and would reflect positively on the performance of UAE banking in general in the coming period. Shaikh Ahmad indicated that adopting a flexible approach and taking initiative are the core of the Dubai Government’s perspective that enables it to deal successfully with global economic changes, especially during the past few years by applying a series of strategic and decisive steps as per the directives of Shaikh Mohammad in keeping up with market demands and providing supportive environment to business sectors. Such approach will consolidate the UAE’s position as a regional and international hub for trade and economy.